Investing in your health has numerous benefits – increased levels of happiness, lower stress, a longer life and ultimately a better financial situation are all reasons to take your health at least as seriously as your finances. We all budget for the normal expenses – rent, utilities, food and savings – but there’s a lot of value to be found in optimising your budget for better health. From getting in better shape to having higher quality healthcare, there are plenty of reasons to set a personal budget for your health. For new car buyers, it’s a common mistake to get caught up in the asking price while forgetting about the overall cost of car ownership. If you’re in the market for a new vehicle, start thinking about running costs in addition to the sticker price as you work out a feasible budget. You may see a great deal on a convertible sports car that seems impossible to resist, but will you really be able to afford the cost of fuel and maintenance? 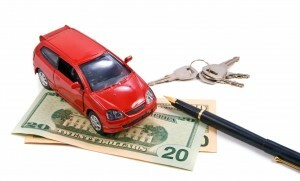 It’s important to take the following factors into consideration as you create your initial car-buying budget. We’ve talked about this many times in the past and, simply put, the big difference between financially secure people and those who are not usually boils down to one specific thing; a budget. People who create and, of course, use a budget are usually more secure financially, have less debt and have higher credit scores then people who don’t. If you still don’t have a budget and really don’t have a clue as to how you should start, the tips below will get you there and allow you to begin taking better control of your finances right now, today. Enjoy. For most people the cost of managing how they live their life is more important than managing their investments. The fact is, without any type of savings the returns that you’re going to get aren’t likely to be anywhere near sufficient or close to your goals. The solution: Creating a budget and using it. Frankly, it’s one that most people dread hearing about but if the surest way to control spending, set realistic goals and secure your financial future. Figuring out your average household expenses and thus your average family budget is critical.